NEW YORK (WABC) -- Here we go again - the battle of the burger is upon us once more - appropriately just in time for National Burger Day. We would like to settle it once and for all: Shake Shack is home to the very best burger - better than In-N-Out Burger, Five Guys and Whataburger combined - but it's also just better in general. 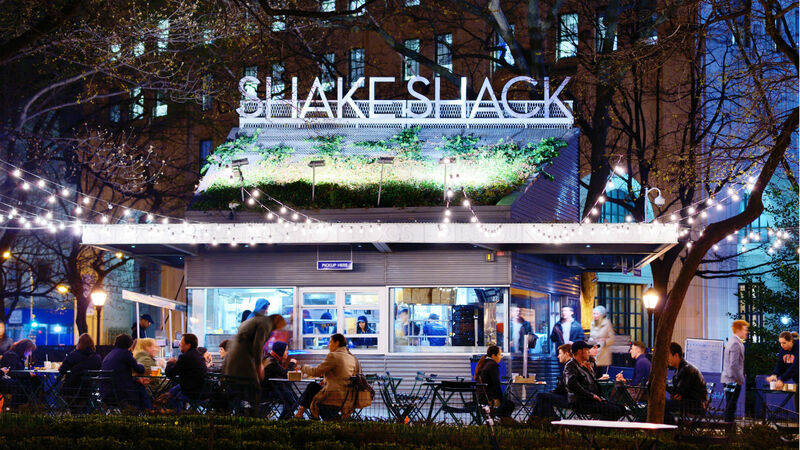 We can confidently say the shakes at Shake Shack blow the competition away. Those *other* chains may offer milkshakes - but don't expect anything more than a few basic flavors. Shake Shack on the other hand offers simple flavors in addition to delicious concoctions that will satisfy your sweet tooth. For example, Brooklyn Pie Oh My (Vanilla custard and a slice of seasonal pie), Wall-nut Street (Vanilla custard, chocolate truffle cookie dough, walnuts and cherries) and the Shack Attack (Chocolate custard, fudge sauce, chocolate truffle cookie dough, dark chocolate chunks and sprinkles) are all currently on the menu in NYC. Don't those sound like more fun than plain-Jane flavors? You can go to Shake Shack and not get a burger and STILL have an incredible meal. Does In-N-Out offer hot dogs or delicious chicken sandwiches? We don't think so! The chicken sandwich has been a hit since it was first offered in New York City in 2015. In-N-Out may have their "secret menu," but Shake Shack has nothing to hide - just delicious specials to enhance their usual offerings. The specials can also differ by location, so make sure to check out what your local Shake Shack is offering. Shake Shack will hit the spot any time of day - even during breakfast. Yes, the Shack serves morning items like Sausage, Egg N' Cheese, Bacon, Egg N'Cheese or even a simple Egg N' Cheese if that's more your style. You'll even find their special Stumptown Shack blend coffee that's roasted locally in Brooklyn. Last time we checked, there were no such morning options at In-N-Out or Five Guys. 5. Shake Shack is for the dogs! You can find a special menu just for your pooch at Shake Shack. Pick from a Pooch-ini (Dog biscuits, peanut butter sauce and vanilla custard) or a Bag O'Bones (A bag of specialty dog biscuits). Do fans of the other chains just not love their dogs or something? Vegetarians can still indulge in their guilty pleasure with the 'Shroom Burger: A crisp-fried portobello mushroom filled with melted muenster and cheddar cheeses and topped with lettuce, tomato and ShackSauce. What do In-N-Out, Five Guys and Whataburger have to offer those who don't eat meat? Just a grilled cheese? OK, that's nice but we're expecting something a little more exciting. Yes that's right, Shake Shack sells beer and wine. In NYC, you can even drink beer created just for Shake Shack by Brooklyn Brewery or wine made exclusively for Shake Shack by Napa Valley's Frog's Leap. So as good as your Animal Style burger might be out there in Cali, don't plan on enjoying it with an ice cold beer. In conclusion, Shake Shack is obviously the best. And if you won't be in New York anytime soon, fuggedaboutit! You can find Shake Shacks all over the U.S. and abroad. See a full list of locations.